A jewelry brand designed for men, Le Gramme borrows its name from the universal unit of measurement. In response to the rational and logical masculine universe, this scientific unit becomes a source of inspiration and poetry. Each reference is designated by its density, and each density creates a different product. 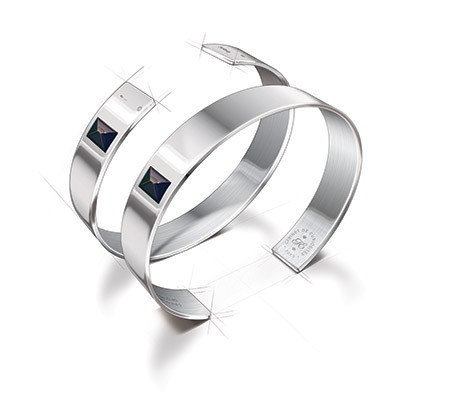 Le Gramme unveils here its first bracelet made of 925 sterling silver and black sapphire. !e evident simplicity of the stone setting and cutting makes the bracelets easy to wear individually or as a pair, in which case both black sapphires find themselves perfectly aligned.